The daunting thought of moving out from the comforts of home where my mother is still doing all the cooking and laundry at the age of 22 is something that is hard to get away from. 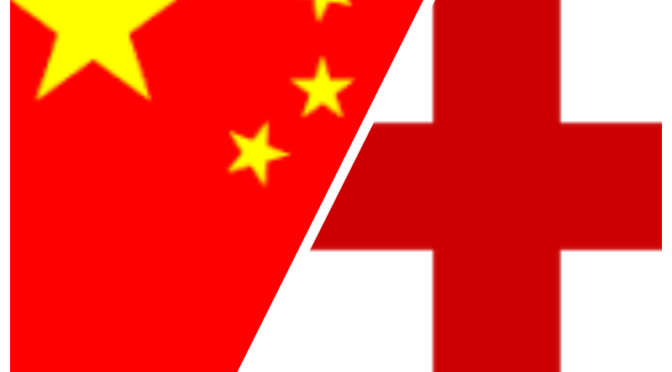 So, why not go to the extreme and move to China! Having that urge of wanting to go to a land far away, a better time than any had occurred after my time as a university student had concluded and adulthood awaited me. Brought to me the opportunity of a lifetime to move to one of the biggest and famous cities in the world was a no brainer (with a lot of anxiety and stress also). Knowing a casual office job would stop me from being able to do this, the time was now or never. Fast forward 103 days from my first interview with Ben at Noon Elite Recruitment and a surprisingly enjoyable 10-hour flight later, alongside many stressful moments with my fingers crossed that my newly acquired Visa will allow me into the country, my long-awaited, independent life as a foreign English teacher in Beijing had begun. Sat at my desk in my new room, bags not even unpacked wondering what have I got myself into, there was no turning back now, well there was but I would have to endure the torturess ridiculing from friends and family at how I only lasted a day and that is what got me going. Having all of the negative thoughts racing around my brain like will the famous Beijing pollution kill me, how will I make new friends, order food and do my own laundry (yes, mummy still did my laundry for all these years), regrets were instantly there. So I put on my big boy pants, finally got my VPN to work and went to the first place to eat that shouted I am not in Plymouth anymore, KFC. Delicious, warmly and felt like home, Colonel Sanders got me through my first night in Beijing. Jet lag and a ruined sleeping pattern, waking up midday I knew I couldn’t just sit around waiting for something to happen, I went exploring and straight away life looked better in Beijing. 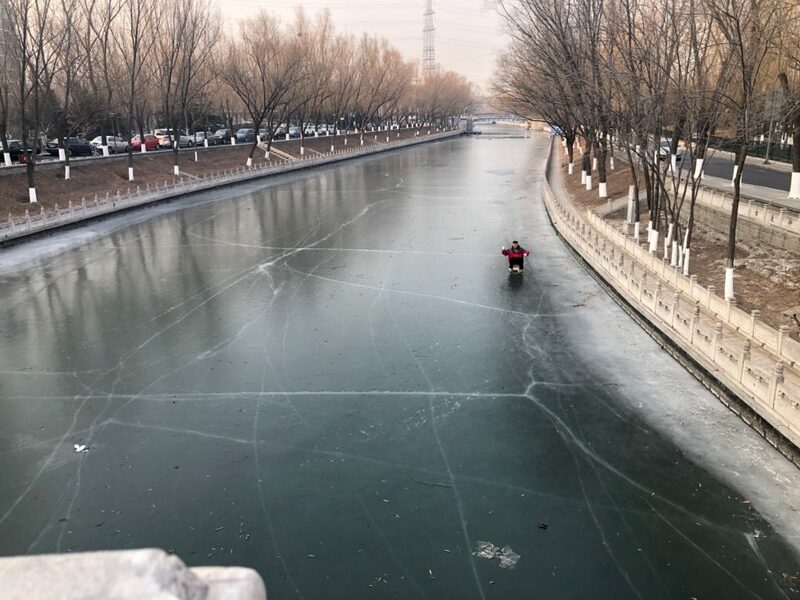 Friendly people everywhere, welcoming and sledging on a frozen river (it is very cold in January), China looked more pleasant. Local park where old locals play dominos and cards. To my joy, there were the stereotypical Chinse sights you think you’d see, for example; old people in a park all gathering playing cards or dominos. Excellent, traditional architecture with Chinese meanings. The old bikes and food. Although one stereotype that I did not enjoy seeing was the toilets that were not actually a toilet but just a hole in the ground, meaning the rumours were true. Although luckily my apartment has a nice real toilet for me. Cold, icy morning in the Haidian District. Fast forward a couple of days, meeting my fellow new roommates Ralisha, Rebekah and Kyle also made things so much smoother. No longer thinking you are the only foreigner in Beijing and in this situation, this city of 27 million people doesn’t feel scary any longer. Now, more days in, eating the local dishes, trying to speak some basic Mandarin and some more local sightseeing, my adventure finally feels like it can begin as well as the fun. 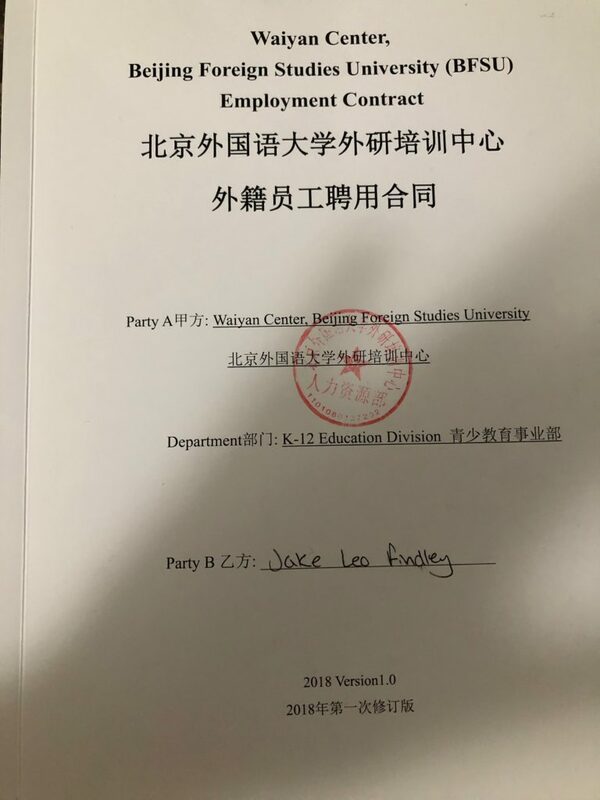 The fifth day had arrived, the one in which I moved to China for, the day I signed my contract of work for Beijing Foreign Studies University (BFSU). It had finally happened, after all the months of Visa preparation, physical examinations and more, I could finally start my new job after I completed the training that is. Being introduced to all the other trainee teachers and staff members of BFSU, the realisation of how my mindset in one week had gone from regret to excitement. Also, not long after trying the famous Chinese hotpot was an excellent experience within itself. Overall, my first seven days in Beijing has been a rollercoaster of emotions, from not knowing what to do, now being excited to see what’s in store for me each day. Everyone says that the first week is the hardest, you cannot truly understand that without experiencing it, but what I have learnt in that time is take every opportunity and situation in Beijing, going into it head on, not overthinking it and not believing you will die from polluted lungs, then everything will work out fine. Also, on a personal note, I have finally done my own laundry for the first time ever and it was the biggest adrenaline rush ever (yes, I know how sad I am from that). 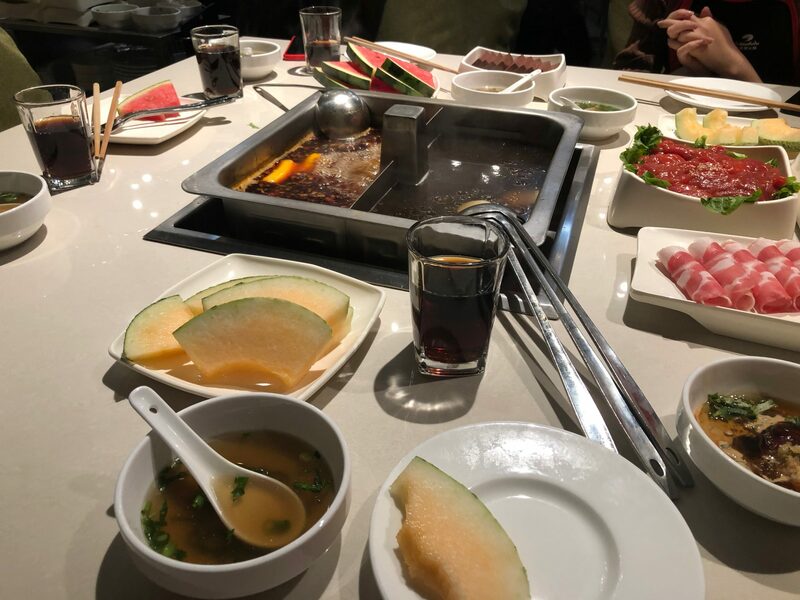 Beijing is a wonderful city and I have only explored a very small percentage of it, that is without experiencing any of the famous tourist attractions yet. But with Spring festival (Chinese New Year) in two weeks, that will give me all the time needed to finally see the famous sights and of course, pandas!